It seems like every game these days are required to have a character creation element to it. From toying around Akira Toriyama's art style in Dragon Ball Xenoverse to the "anything goes" approach of Sunset Overdrive, games are more expressive than ever when it comes to projecting your own customized avatar into the experience. This can largely be thanks to the RPG genre with hits like Everquest, World of Warcraft, Mass Effect, Dark Souls, and The Elder Scrolls leading the charge for making character customization a must in your video games. 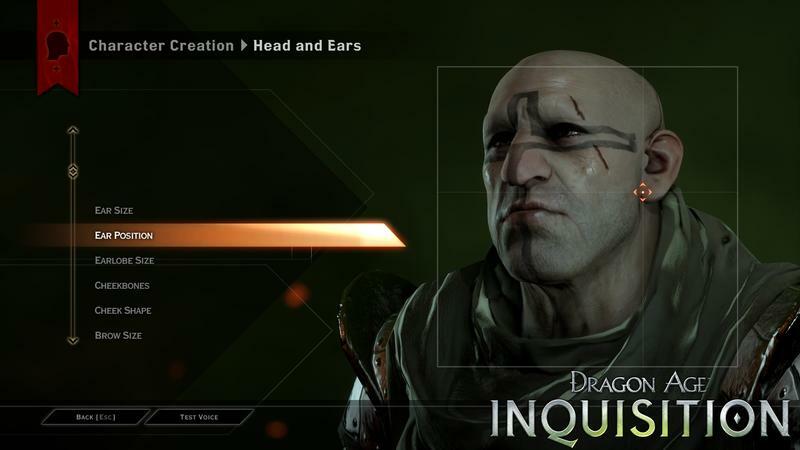 BioWare is back at it again by giving the biggest RPG of the year, Dragon Age: Inquisition, the deepest character creation mode it has ever developed for a game. The Frostbite Engine 3 allows for far more detailed and realistic characters than ever before. I remember being blown away by my ability to make Shepard look exactly like me in the first Mass Effect, but we've come a long way from the days of BioWare's custom graphic engines. The new trailer shows off the level of detail you'll be able to put into your avatar. Humans, dwarves, elves, and orcs. You'll have access to them all, and they are going to look really good when you take them into Dragon Age: Inquisition's action packed battle system. The game will be released on Nov. 18 for the PlayStation 3, PlayStation 4, Xbox 360, Xbox One, and PC.